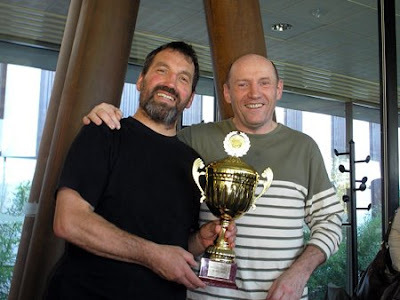 The French Veterans tournament of Savate and Canne took place in Reims on 30th May. 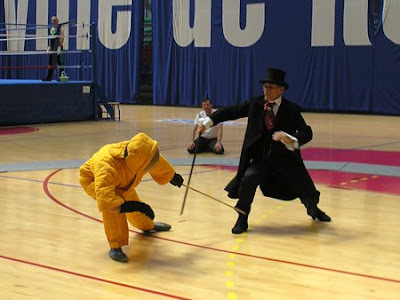 The "Vieilles" is a competition where friendliness and fair play are the principal qualities - a lesson in life! A big "thank you" to Alain Laleuf and his team of volunteers for the welcome and the organization. They had officials in place to organise and manage the bouts of the male and female participants of five countries (France, England, Belgium, Germany and Australia). All the fighters were rewarded with a small gift by Madam Vasseur (Sport 7). Gilles Le Duigou (President of the F.I.S.) 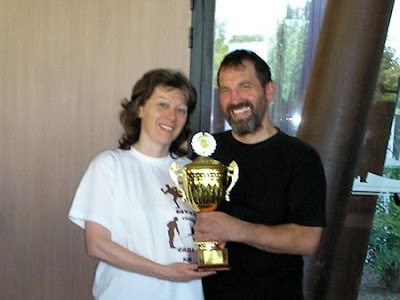 and Gerhard Schmitt (Germany) received the trophy for the best Savate fight, and Gerhard Schmitt (again) and Julie Gabriel (England) for the best Canne fight.